Mini-Sharks Jason and Val swam into the Shark Tank giving off the impression of classic salesmen. Jason, with his thick accent (despite his admittance to having taken speech classes), along with Val, introduce themselves as Shark Tank competitors. After all, despite the many deals made on Shark Tank, there are still many small businesses which struggle day after day due to their being underfunded. These businesses are not big or impressive enough to pique the interest of investors, yet they still need a lot of funds to take their businesses to the next level. 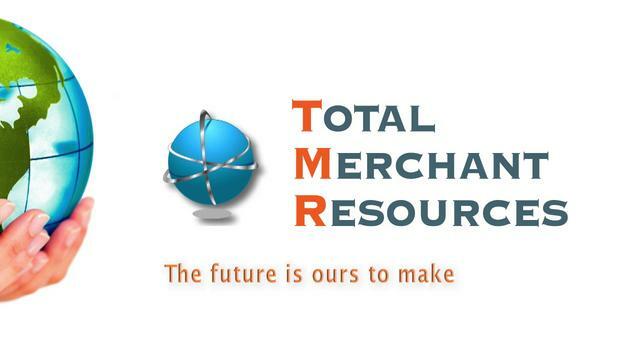 The Solution: Total Merchant Resources (TMR). TMR essentially offers an alternative to fund small businesses. So, for example, imagine you had a company that needed to borrow money to open a new location, take care of a sudden costly issue, or pay in advance for inventory. You could try to go to a bank and take out a loan, but that has become increasingly difficult in this economy. Additionally, borrowing from a bank means there is an automatic future worry of paying back the loan, plus the additional interest. Furthermore, to sell some of the business's equity to raise capital is something that could hurt the business in the short term and be regretted in the long term. Total Merchant Resources comes to the rescue with a new option – a sort of “pay as you go” plan. TMR extends a “loan” for a premium to the small business, which the small business will be expected to pay back, but not in the conventional way. Rather, TMR takes over the business’s credit card processing and takes a certain percentage of each credit card transaction based on the risk of the business and average credit card transactions. As Kevin illustrated in his example, a dog groomer making about $80,000 annually who needs to raise an additional $20,000 will turn to TMR and receive the $20,000 on condition that they end up paying roughly $26k - $28k over time by giving up a percentage of each credit card payment the business receives from its customers. So a $1,000 payment to the small business will distribute something like $800 to the business as revenue, and $200 to TMR as part of their debt payment. One could view this financing method almost like bond trading at face value, but with coupon payments. TMR gets its money back in installments and faster than a long-term payback period, which means that it has the time value of money on its side. Another way to view this, as Mark pointed out, is as taking “royalties” - a word Kevin is all too familiar with. So what went down in the Tank? Robert was next to tap out saying it was not a business he wanted to be in. It happens. Mark's concern was that although the business seems like a good idea, he felt it wouldn’t be long before the government steps in to start making regulations just as it did with payday loans. Additionally, Mark pointed out that when something goes wrong it tends to go to the deepest pockets, and this was not a business he wanted to play that role with. The Mini-Sharks then turned to Daymond, but were met with a certain “I'm out”. Kevin's turn! Everyone had the feeling that he had something on his mind the whole time and with TMR's financial structure looking a lot like royalties, Kevin wanted to be royally invested (of course no pun intended there!). He set his own non-negotiable price of $200,000 for no less than 50% of the business. After all, as Kevin boasted, he brings a tremendous amount to the table – raising assets under management, adding a new standard of credibility to TMR with the O'Leary name attached, as well as bringing a new level of respect to the business – raising the probability of phone calls being returned. Therefore, as he declared, the only choice at this point would be yes or no. He was the only Shark left and there was simply no negotiating with him. Jason and Val definitely did not look too pleased with the Shark who had taken the bait, and I don't blame them. Kevin's eyes lit up when he heard the idea, and being a financial adviser, he has a much clearer understanding and many more years of successful experience. Under Kevin's ruler-ship, Jason and Val will indeed become nothing more than dispensable foot soldiers! Jason and Val ended up accepting his offer, after almost deciding to leave the decision to a coin flip. Yes, a coin flip. If I were Kevin, I would have dropped them as soon as I saw that Jason was that indecisive and clearly not too enthused of closing a deal. Such behavior can be expected from an inexperienced entrepreneur; but from people who evaluate risk for a living, it’s just ridiculous. I certainly would not want monetary matters regarding my business to be left to the mercy of a quarter. (No offense Mr. Washington).